DefCon 3, An Expose of Teen Nation! I've started 2011 at two WONDERFUL Christian High Schools. Most of the time I go into a school, and help them work through a spiritual emphasis week. So, I get a chance to help teach classes during the day, I speak at the chapel, and sometimes get a chance to hang out with kids after school. 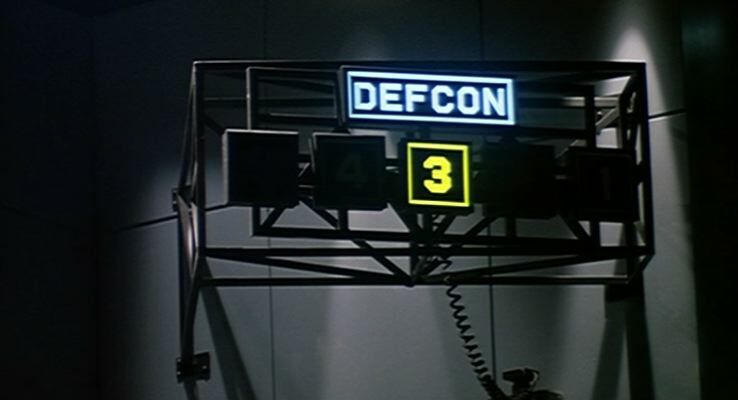 It's a great time, but I've got to admit, we need to raise the Defense Condition of our Christian World to Def Con 3. Defense Condition is a term the military uses to ready the forces before they go to battle. For Example DefCon 5 is "everything is normal" where DefCon 1 is almost all out war. I propose this view of what's coming down the pike from Christian Teenagers because I see 20 years down the road at the American Church. I see the church loosing the battle. If we were to compare the church to a corporation (which many have become anyway), a good CEO would be working diligently to help shore up the younger consumer. But we are dying on the VINE!!! It's not that God has become irrelevent, or somehow the gospel message is loosing it's grittiness in the world today. No, I don't think it's a problem with the message. It's a problem with the MESSENGERS!! I told the class I was teaching today, "Communication is a two way street. You have a communicator, and a listener. THE MOST IMPORTANT part of a communication relationship is the listener and his/her interpretation. Otherwise those of us who talk might as well talk to ourselves." As I've surveyed the young listeners in our world, I'm finding some startling results. They don't know what they believe. They have no sense of connecting faith to real life. Going with the cultural/pop view of life is the norm. They don't know how to communicate. They don't see the importance of a strong moral understanding going forward. We must be about helping to change the culture of how we do faith so it becomes relevant to their lives. (and I HATE THAT WORD). Faith issues are still relegated to Sundays and Wednesdays. And for the Christian School kids, they "do" God everyday all day long, and are unable to see the passionate pursuit of life Jesus came to give us. I'm not advocating we go to war. We don't need to keep adding more programs to get kids in the door. We need to start swinging the pendulum to a place where they know something about faith. PLEASE…if you're in youth ministry, we must be about teaching, training, and disciplining kids to know more than they know. We've got plenty of students walking around with some kind of faith experience that isn't helping them understand who God is, or why it matters in their life. It's easy to put on a show. It's easy to get kids to come forward in a service. It's easy to follow the world. Can we be about something deeper? Can we help when life gets hard? Can we help make understand of a world filled with pain and suffering? It's DefCon3, or we'll see a teenage nation without any sense of who God is. Great blog Andy! Thanks for posting! I’m so excited to see someone with a platform saying this!!! I’m going to re post this to my blog as well!